The Communion Veil: "They Fear You." Recently I was contacted by a young man who said he was very scared because he was experiencing demonic oppression. He sounded terrified and didn't understand what was happening or what to do about it. Now, normally we are called to be sceptical and not see the devil under every bush, but something about this young man's genuine fear pulled me more to belief than not. I know that he could have had mental issues, or been just someone craving attention, but what he told me he was experiencing would dispel both of those theories. The first thing I did was send him prayers of Saint Michael the Archangel, the long and the short version. I told him he wasn't alone, and that I too had experienced demonic oppression. I fought them with the Word of God, and the Holy Rosary at first...later I would use the weapons they must flee from, Holy Confession and the Holy Mass. What really surprised me is that Matthew was experiencing obscure demonic tricks that I doubt he could have gotten from the internet. (I will not mention what they are). Our fight wasn't over, and there were many emails back and forth. I made him some prayer videos and sent to him, which he said did help him. In one email he spoke of the demons saying that... "They fear you." (meaning they were afraid of me). I knew immediately what that was. The demonic will NEVER give you a compliment, but they will try to get you to have pride so that you will not be in a place of communication with God. Pride broke the line of communication from God to the demons, and they desire that I would have pride in my 'holiness' so that God would no longer hear my prayers for Matthew. It didn't work. "I am happy to be writing you again. Ive thought about you everyday and the items you sent have helped more than anything else. They ran instantly from the miraculous medal. when i hold it and recognize what i am holding, it all goes away. all the pain all the torment torture, what-have-you... it all goes away. Im so happy! i wanted you to know im doing well and i hope the same for you!!!" 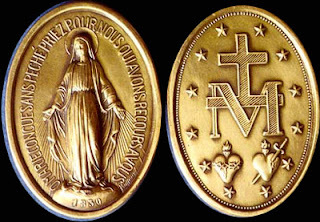 I knew for sure he was telling the truth, because he was not Catholic, and had no experience or knowledge of what a Miraculous Medal was. 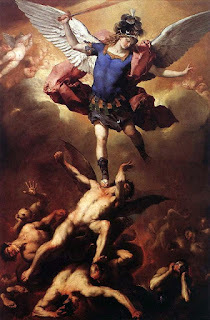 I have recently told him that he isn't done yet, he as only a reprieve and am encouraging him to come fully into the Holy Catholic Church because we have the best weapons to fight the devil, and I'm afraid he will be fighting this for a while. I haven't heard from him, please pray for him. The Miraculous Medal is powerful, we should all have a blessed one and wear it if possible. 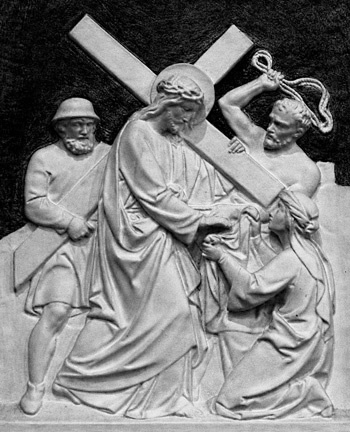 Labels: confession, demonic, Demons, fear, Holy Mass, miraculous medal, St. Michael the Archangel, Stations of the Cross, they fear you. All donations will go to the Order of Esther a non-profit organization. Ok...thanks for the Laugh... you can repent now..